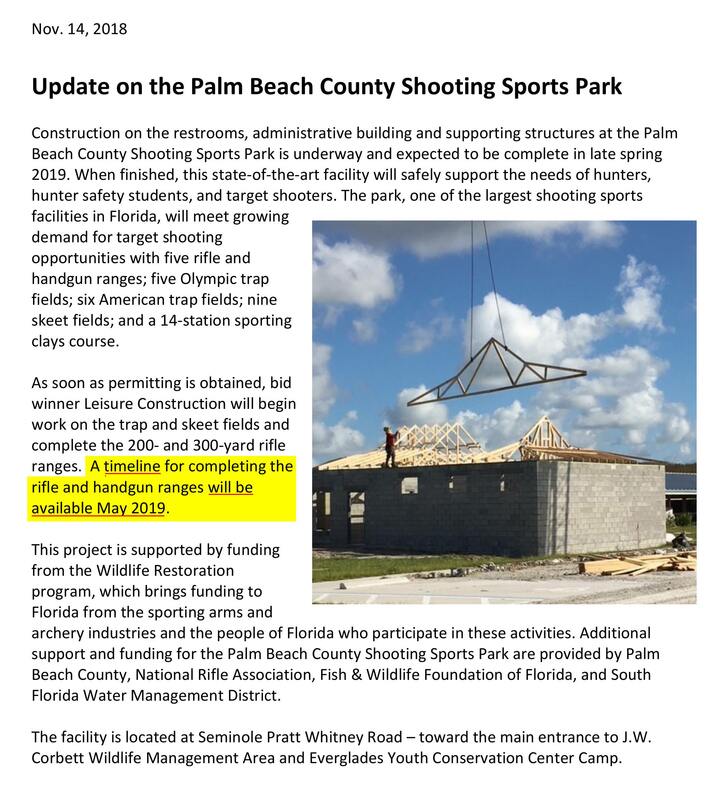 Any updates besides whats on the Florida Fish and Wildlife site? Last time we spoke about it, I think the topic of conversation was all the permit fuckery going on around the project. I honestly don't expect it to be completed anytime soon. Just checked on the permits for the accessory and restroom buildings and it looks like they will finally be approved within a week. The permits are in the final phase which takes a couple days. We may actually see work started in the next few weeks. Thaaaannnk fuckkk. Best news I've heard today. That's good news, something to look forward to, it was just stagnant for awhile there, went to the site few times and saw very little progress if any, I've got an AR15 target rifle with a 8-24 variable scope, adjustable stock, all the bells and whistles, used to go to the ocheechobe range, nice facility but a 1.5 ride, all day affair, was going to sell the AR15 but with this news I going to hang onto to it, always enjoyed shooting long range rifle, was wondering if anyone knew the yardages on the rifle range, late spring of 2019 is pretty reasonable time frame ..
300 is the longest is goes out to. I live less then 10 minutes from it so I will probably be there often hopefully!